There comes a time in every multinational electronics conglomerate's life when it tries to get into personal audio. Samsung isn't a particular stranger to the home theater side of sound, and some of its soundbar products actually review pretty decently. But a high-end headphone manufacturer, Samsung ain't. Search "samsung headphones" on Amazon, and you'll struggle to find anything costing more than $20. The EHS71 is Samsung's first attempt to break into the premium earbud market. And, well, let's just cut to the chase: it's a wash. 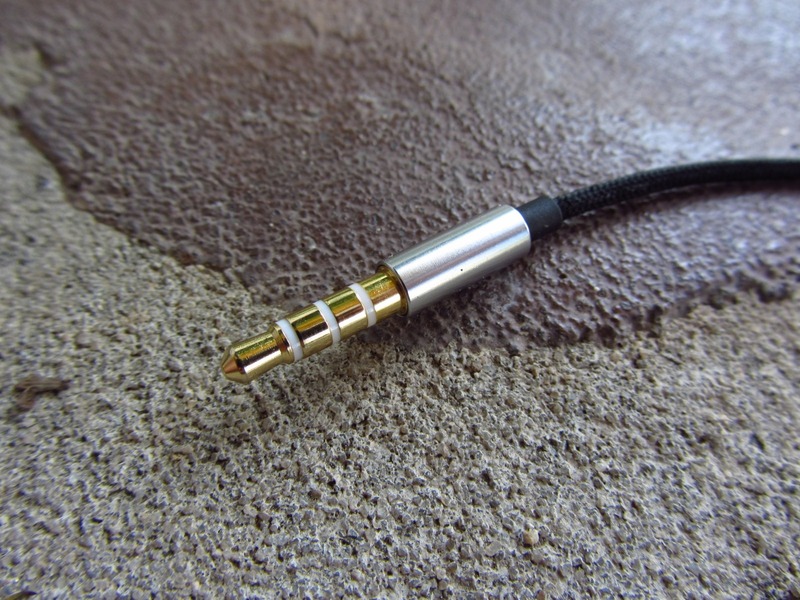 While marketing buzzwords like "lightweight aircraft aluminum," "high-performance balanced armature drivers," and "ultra micro design" may be able to sell the EHS71's on paper, the sad reality is that these premium buds are all show, no go in the audio department. And I'm not just saying that because Samsung isn't an established presence in the headphone market, or because these earbuds are horrendously overpriced ($130), but because it's pretty clear from the get-go to anyone who knows anything about headphones that the EHS71's just aren't very good. 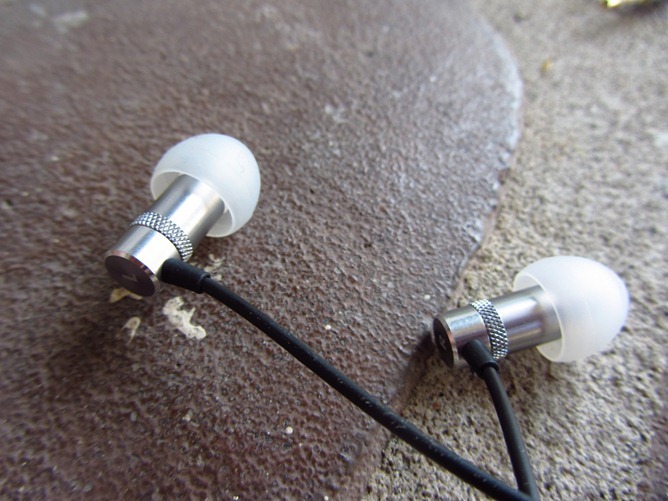 While the aluminum housings and nylon-wrapped cord do make the EHS71's feel rather sturdy (and hard to tangle), sound this mediocre and, frankly, boring is inexcusable when you're talking about something at this price point. What's in the box? 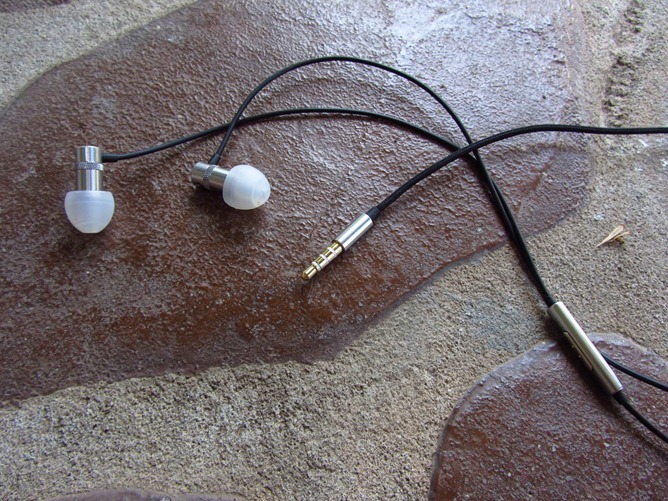 The headphones, 3 sets of earbud tips, and a black-velvet carrying case. Do I want them? No, probably not. Unless you don't care about sound but do have $130 burning a hole in your pocket. Comfort: The EHS71's are a pretty comfortable pair of headphones, and while not on par with the Nocs I reviewed last week, I doubt anyone could complain about how they feel in or around the ear. The 3 sets of included earbud tips are a little less than I've grown accustomed to for high-end headphones (most come with at least 4, usually a duplicate pair for the "medium" size that fits most people, as well), but hey, Samsung must be putting that extra 10 cents towards better sound, right? After wearing them for about 2 hours, I had almost no fatigue, and the EHS71's stuck in my ears pretty well. Style: The EHS71's are definitely a good-looking headphone, you'll get no argument from me on that. The polished aircraft aluminum housings are nice and solid, and look flashy without being ridiculous. The cylinders at the top of the 3.5mm jack and splitter are also aluminum, which is a nice touch (thought the inline controls are not). Build Quality: You can't knock Samsung for sturdiness on these earbuds, thanks in large part to the wound nylon around the cord that goes all the way up to the splitter, which should prevent twist and bend damage to the wires. This means they're also incredibly hard to tangle, so that's a good thing, too. 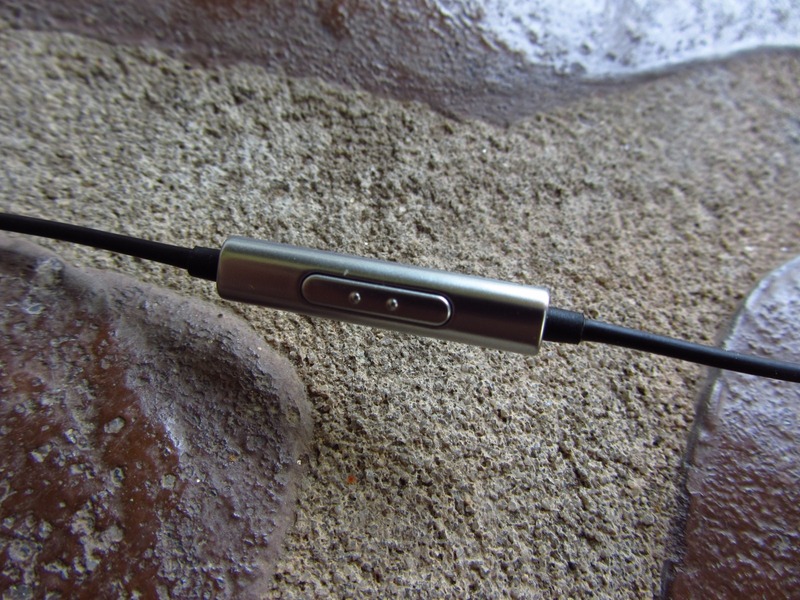 The aluminum parts inspire confidence in their solidness, though the rubber flex joints around the earbud housings and inline controls don't feel particularly strong (and are also quite short and thin - a bit of a no-no on headphones). Controls/Mic: The one-button control works as advertised (hang up/answer, play/pause), and the microphone seems decent enough. 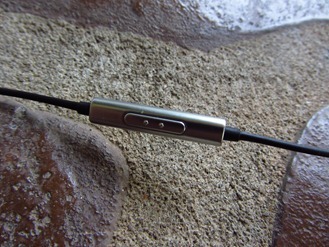 There's no lapel clip for the microphone, though, so that's another 10 cents saved for Samsung. Sound: If you're looking for a summary of how the EHS71's sound, here it is in a nutshell: not like one-hundred and thirty dollars of headphone. More like $50 - maybe. I'm not sure what Samsung's engineers were comparing the audio of the EHS71's to in testing, but it must have been something equally overpriced and even more underwhelming. For a balanced armature driver headphone, a technology that is definitely limited to higher-end equipment (though does not necessarily translate to good sound), the EHS71's sound awful. For a headphone in general, the sound is just mediocre. Subtle details were clearly lost, sound became noticeably muddy (distorted) at high volumes, and bass response was shallow, if loud. There's also just no character to the sound, and I don't mean they're flat or balanced, they're just kind of dull. Sound Comparison: I compared the EHS71's to my daily driver, the Etymotic Research hf2's, which come in at a street price at or lower than the EHS71's. I also compared them to a lesser extent to the Nocs NS200's, the UE TripleFi 10's, and for a control, a pair of mediocre Sony earbuds. Compared to their price-point neighbor, the hf2's, the EHS71's are laughably bad - high frequencies lack definition and crispness, details are lost, and bass is loud but almost completely without depth. Going down to the NS200's, which are $60 cheaper than the EHS71, the Samsungs still just don't sound good - bass, again, lacked depth (but was more prominent), while highs and mids were boring and almost sounded muted. Compared to the $180 TripleFi 10's, well, let's not go there for Samsung's sake. Finally, I did a listening comparison with the Sony buds (I'd estimate they're worth around $25 and sound like iPod earbuds), and the EHS71's did definitely best those - highs and mids were much more crisp, bass more defined, and sound generally more detailed. For people used to $30 iPod earbuds, these will obviously provide a much superior experience, but that's saying very little. 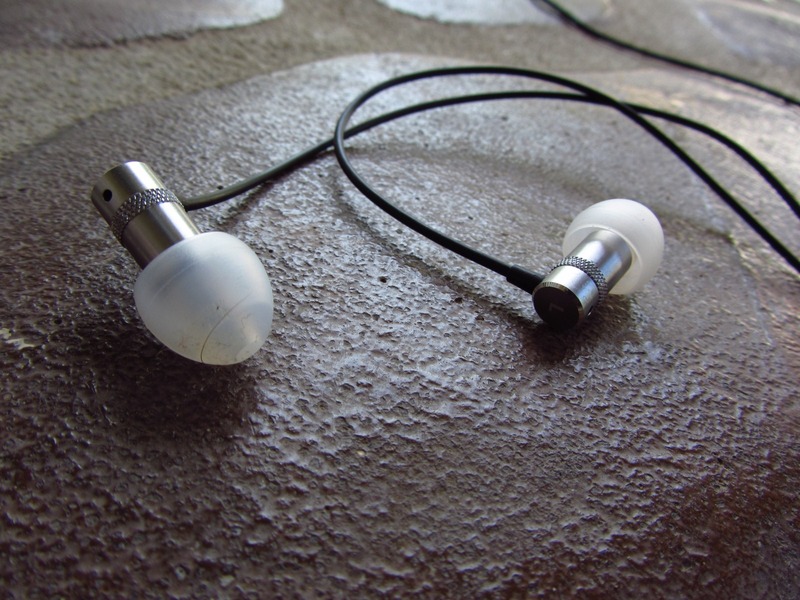 Isolation: Noise isolation on the EHS71's is average at best for an in-ear headphone. Don't buy them expecting something that could replace a noise-cancelling headset or earplugs. Price: $130? Just no, Samsung. At least at $80 you could compete with Apple's premium iPhone/iPod headphone with inline controls, but the problem there would be that those sound a lot better. I hate to be so hard on Samsung, but the company's first attempt at an audiophile-grade headphone has pretty much been a failure in the one way that actually matters: sound. There's just no joy in listening to them. Had Samsung offered up the EHS71 at $50, perhaps it could be forgiven for the below-average audio in exchange for the robust choice of materials and inline control/microphone features. Maybe even $60. But push beyond that number, and the EHS71 is outclassed at every turn by competing products, and by no small margin. Better luck next time, Samsung.